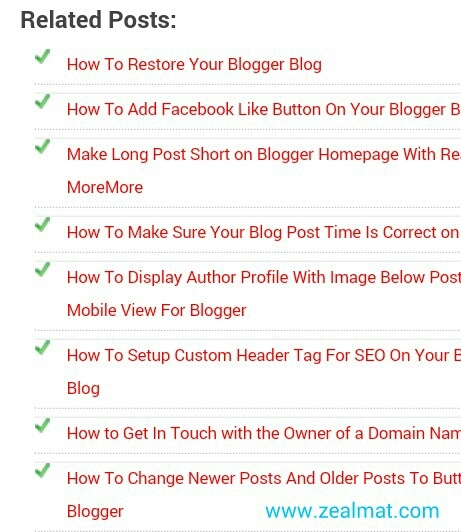 The related post help in the increase of blog visitors and make sure your visitors are satisfy with the content related to any post that is being published on your blogger blog. This wonderful related post is very easy for viewers to click see and also it cn be displayed on any device and it doesn't reduce your blog speed. 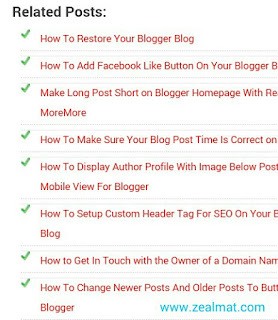 First you need to visit your blogger dashboard and then select your preferred blog which you will like to work on. After clicking on the blog then move your mouse down to the "Template " tab and click on it >>>> "Edit HTML". Finally save your template an click on the preview button above. Lastly always remember to include post lebel on every post before publishing because with this lebel your related topics won't display.